Travelling by rail is ultimately my favourite way to navigate through a country’s picturesque landscapes. Sitting back in complete comfort as the train makes its way through lush green valleys, around towering mountains and passing by cute little villages, you’ll realize how much travelling by train is really the best way to make your way around. 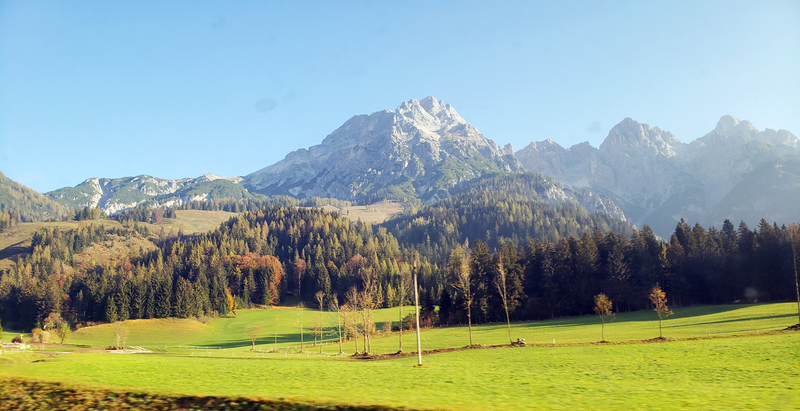 While in Austria, I travelled through a big chunk of the country solely by rail and it was phenomenal. I was able to see parts of the country that didn’t have road access and being able to see them as we careened through the mountainous Austrian Alps was such a spectacular sight to witness. Feeling like an overactive child, my head was moving left and right, side to side all while trying to get a glimpse of every aspect of the landscapes around me through the train windows. 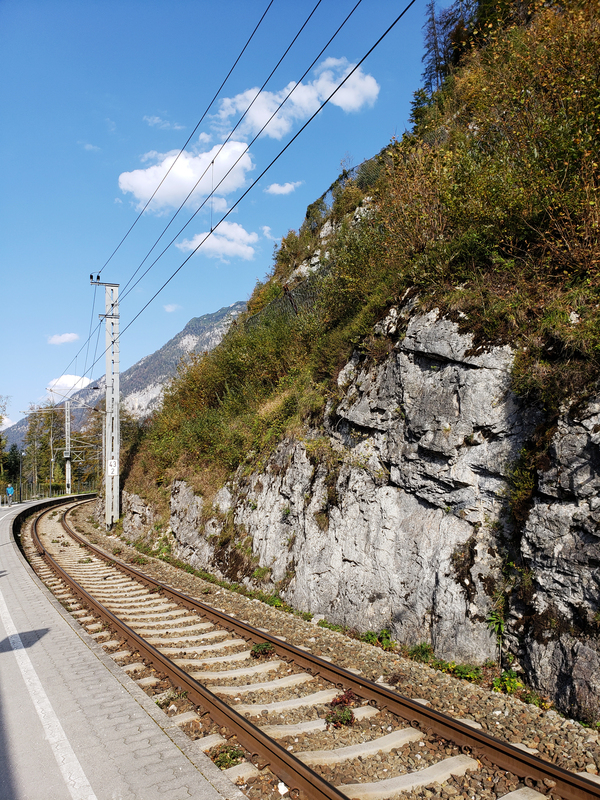 Travelling through Austria by train was easy, efficient, fast and comfortable and I highly recommend travellers to do the same if you plan on visiting Austria. You don’t have to worry about the weather (although there are sometimes disruptions to to heavy snowfall in the mountains), traffic, or any of the hassles of road rage; just sit back and enjoy pure relaxation as the mountains, villages and streams surround you on your epic rail journey. 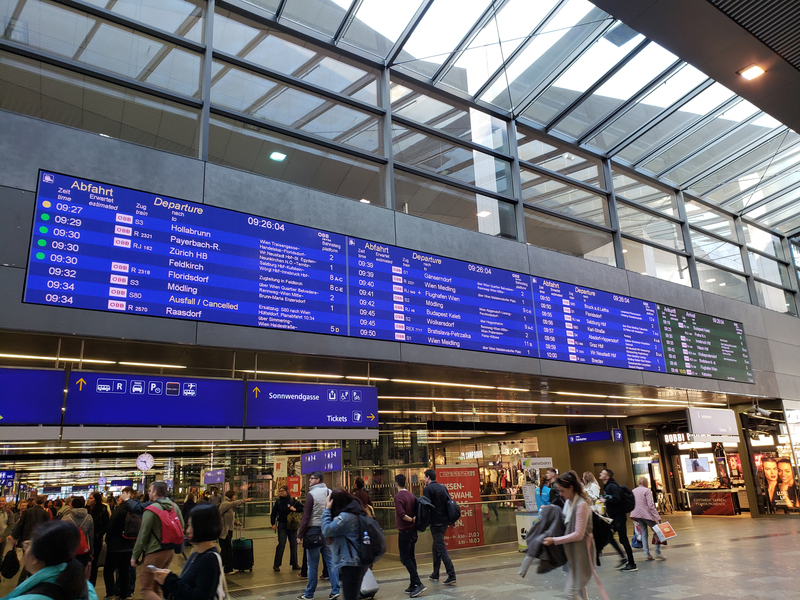 The Austrian national train company, ÖBB operates all the major lines within Austria, so getting around to all ends of the country isn’t a problem. 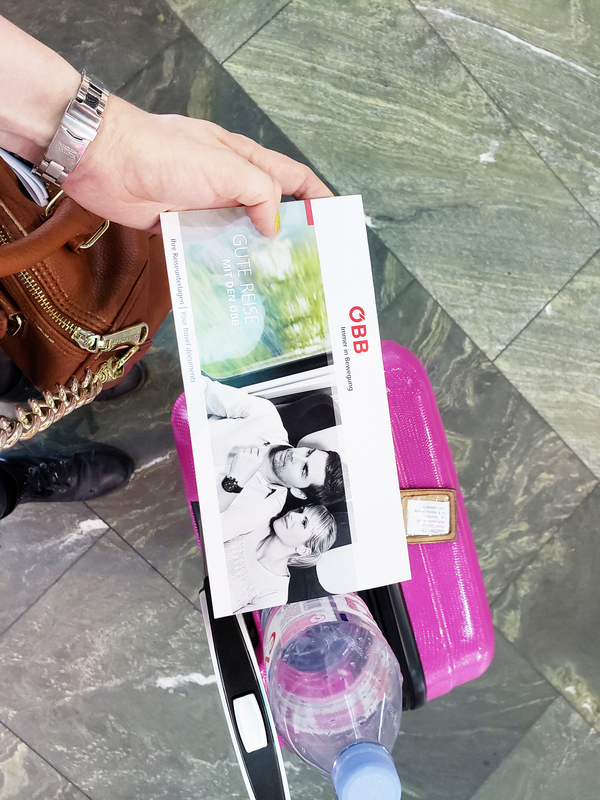 So, if you are heading to Austria in the near future, here are some quick tips and useful information to help and prepare you for travelling by train within Austria. 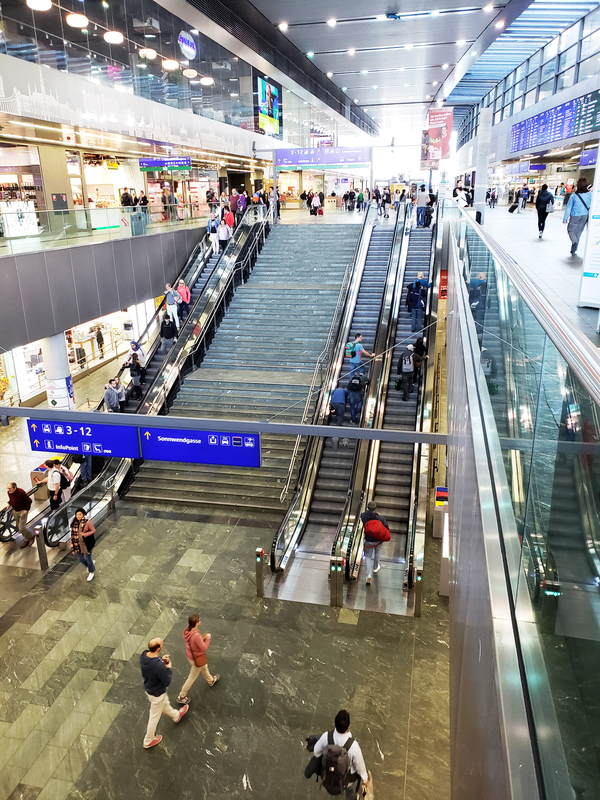 Austrian train stations are easy to navigate, clean and are full of amenities for travellers, which range from bakeries to clothing shops and luggage storage lockers to comfortable lounging areas to wait for your train journey in. Every train station I used was located right in the heart of the city, town, or village and was easy to get to by foot with my luggage, but if you aren’t in the mood for walking, there are always taxis, buses and sometimes tram lines outside to take you to your final destination. 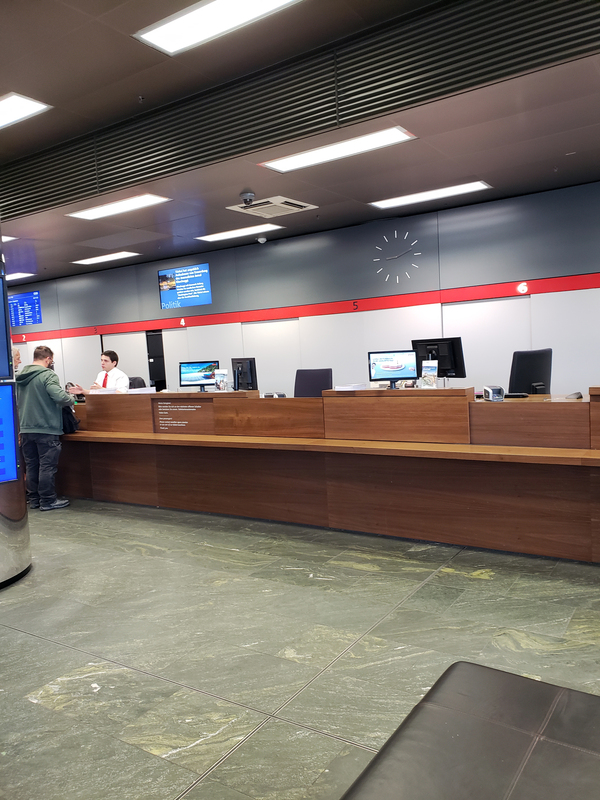 Buying train tickets in Austria could not be made easier. Train tickets can be purchased in numerous ways for travelling through the country. 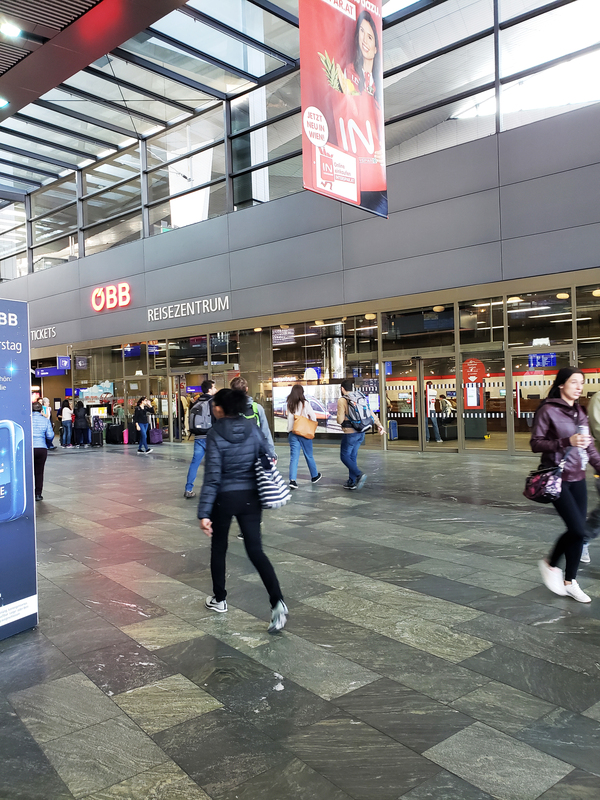 In the major city’s central stations, or Hauptbahnhof, you can purchase them in advance directly online through ÖBB, buy them in person from the ÖBB counters within the stations (keep in mind that some smaller stations are unmanned), or the most popular and easy method is to buy them in the stations through the ÖBB digital ticket machines. They are bright red and white (like the Austrian flag) in colour, so you won’t be able to miss them and labelled Tickets, or Fahrkarten in German. The machines are very easy to use and the screens can be changed to English as well as numerous other languages. The machines take Austrian bank cards, paper Euro bills and most credit cards. I used my VISA and had zero problems. You choose your destination, method of payment and print your ticket and receipt. Et Voilà! 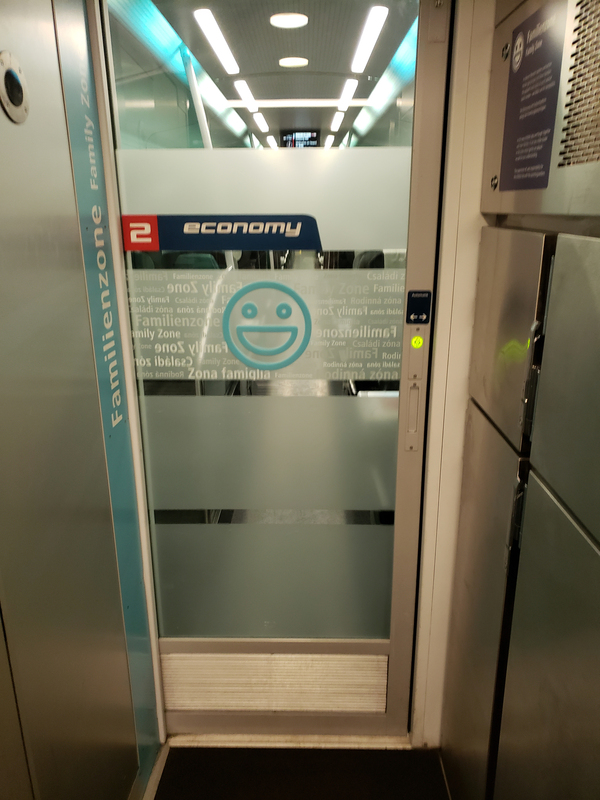 You are able to purchase a single one way ticket (Einfache Fahrkarte), or a day return ticket (Rückfahrkarte) and the standard class purchased is economy class, which in my personal opinion, is pretty damn nice for 2nd-class. 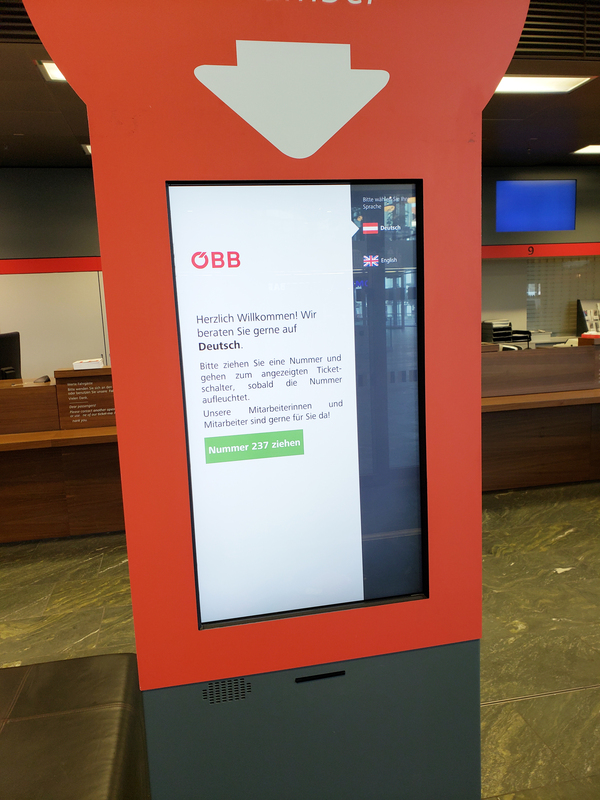 🙂 For an in depth explanation about the ticket machines and how to use them, ÖBB has some trusty videos on their page to check out. You can check out the videos here. 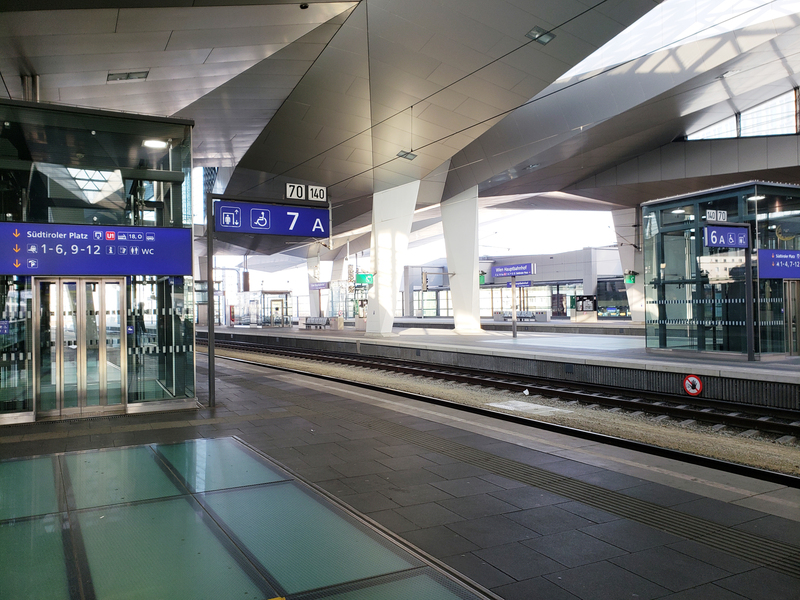 In most, if not all train stations within Austria, there is no need to pre-check in before heading to your platform and boarding. Just because you can walk right on, doesn’t mean you can sneak on and skip paying. Train crew member come around each and every car as soon as the doors close and the train starts to depart each and every station. I don’t know how they keep track of passengers and tickets doing it this way, but it’s a thing of magic and they are ALWAYS going to check. 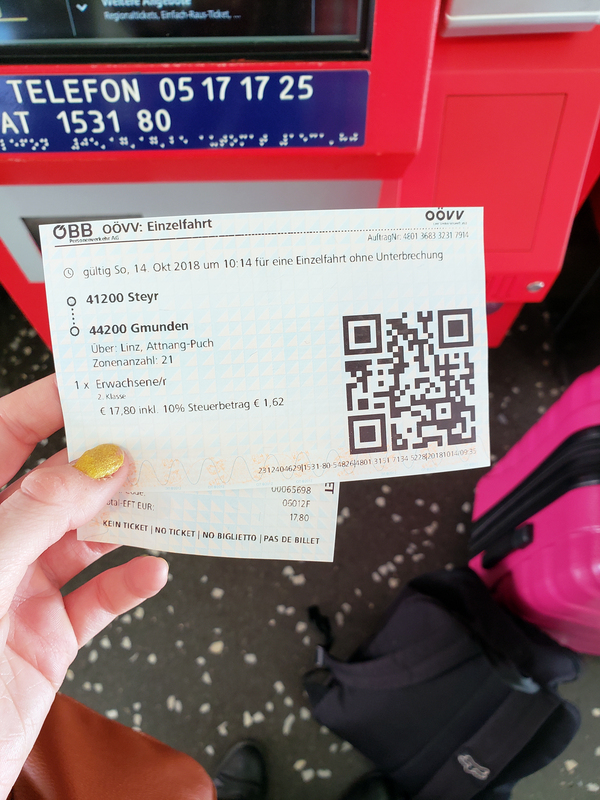 The ticket that prints out of the machines is on a white piece of paper and has a QR Code on it, so that the train crew can scan and validate your ride. 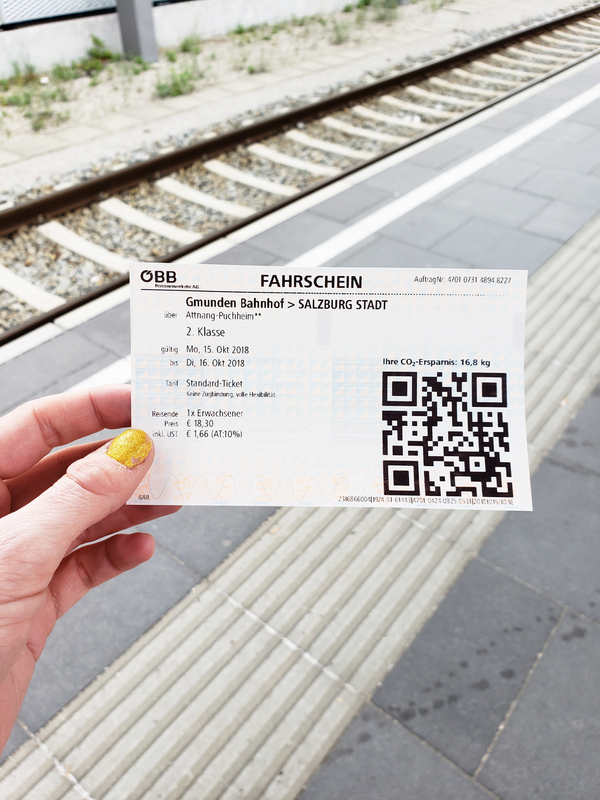 If you decide to purchase your tickets online in advance, make sure to equip your phone with the ÖBB App, or print out your ticket confirmation, which should also have a QR Code on it as well. 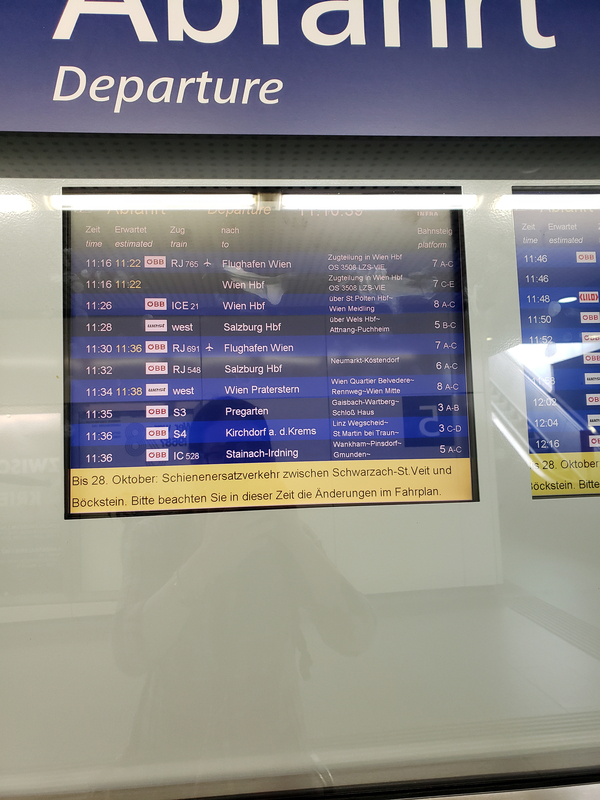 Every single station within Austria has departure screens that show the schedule a few hours in advance from the current time. 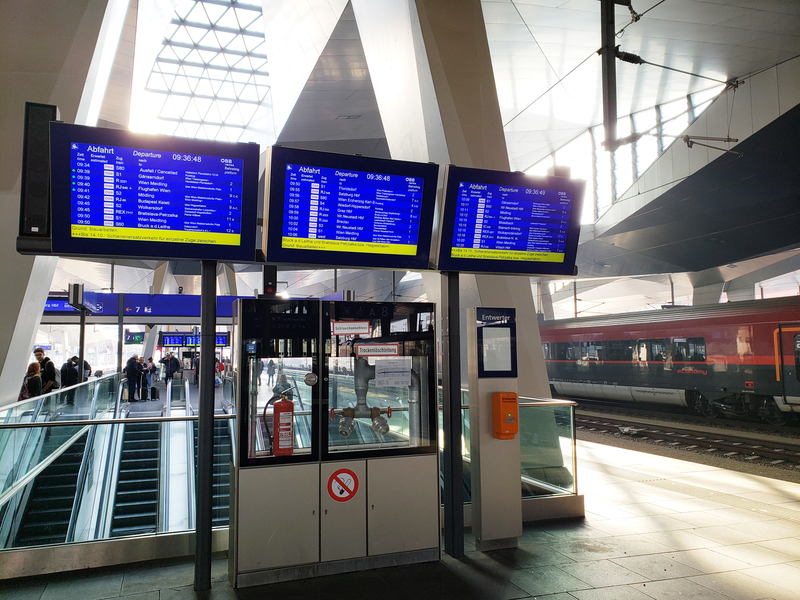 The screens will tell you what platform your train is departing from and at what time your train departs. The somewhat tricky part of train travel in Austria is due to the fact that two trains may pull onto the same track, minutes apart and have the same destination within their schedules, but they depart at different times. Don’t be fooled by thinking that your train to Salzburg arrived ten minutes early and board. Your ticket may be for the next train to pull into the station on that exact same track. Always check your train number listed on the departure board with your departure time. 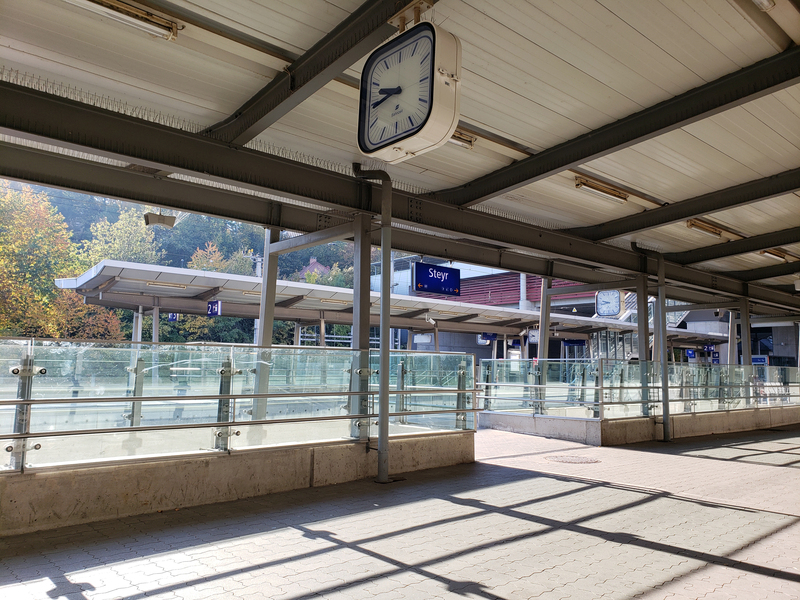 Departure signs can also be found on the platforms, which show what time the next train will be leaving and at which stations it will stop. Any changes are announced by station workers via speakers and are always shown on the departure signs of the platform. Always keep an eye on the departure signs to avoid missing your train and ears open for changes. 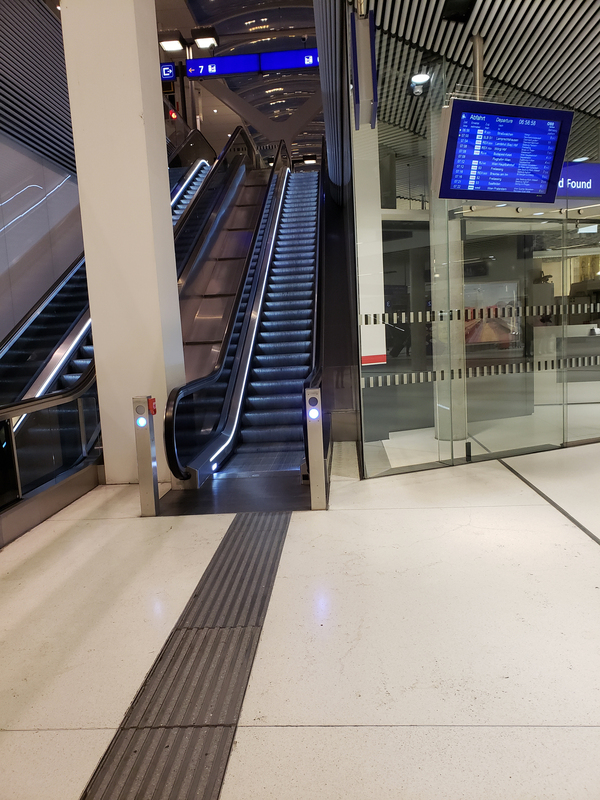 To elaborate a bit on the point above about checking train numbers and not the arrival of the train on the track, I had a bit of a slight issue with this while in Austria, albeit not a big deal and I managed to correct it easily, it was a learning curve and can teach others to avoid. 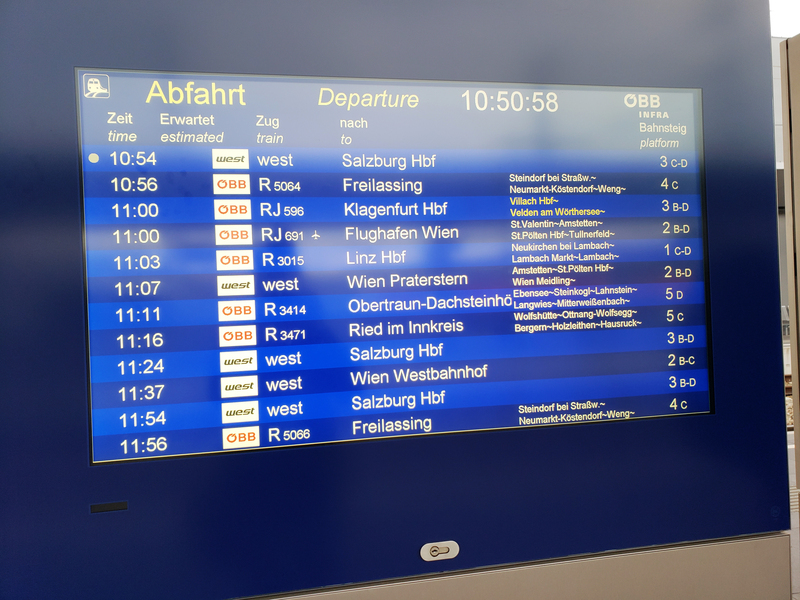 Let me explain…Trains in Austria (and most of Europe) have train numbers depending on the trip. 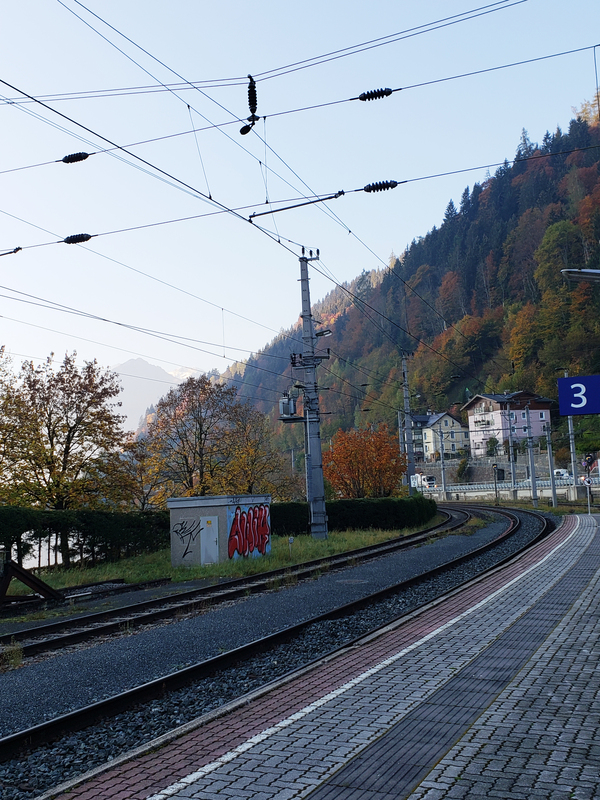 An example of this would be a train to Salzburg from Zell am See might be listed as RJ5567 and departs Salzburg at 12:47pm on track 4A-E, but another train numbered REX1250 and departs Salzburg and departs at 12:50pm on track 4A-E as well. As you stand on the platform and make your way to track 4A-E, you see a train pull in and you may think it’s yours and you board waiting for your departure time. As you start to pull away from the station and head to your destination, a crew member walks around and says you have boarded the wrong train with just a glance of your ticket. Uh-oh, now what? 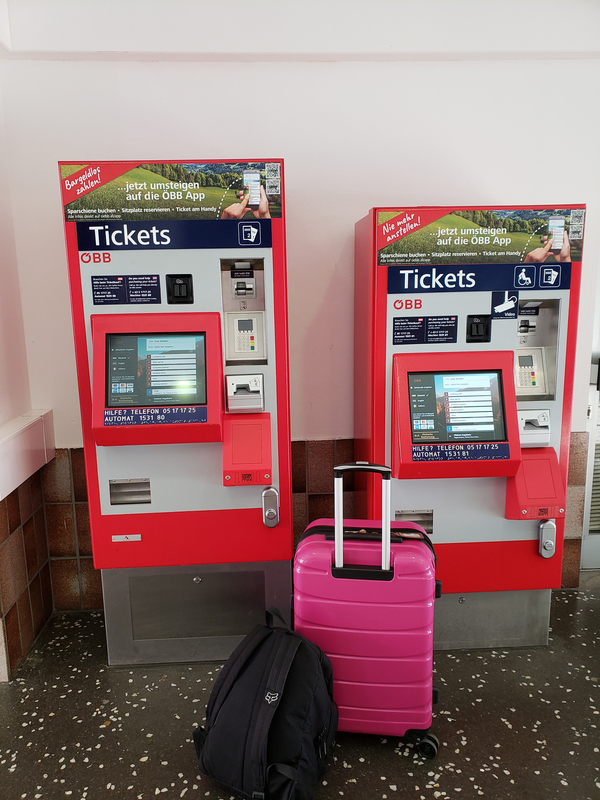 If there is a next stop, tell the crew member that you will jump off and catch your correct train when it pulls in shortly, but if you end up on an express train, then chances are you may need to pay the difference in cost for the ticket like I did. Whoops! It was about €8, but it was much better than the €105 fee of not paying, so I paid the extra €8 and actually got to my destination 45 minutes earlier. Lesson learned. Always, always , always remember to check the train numbers (they are listed on screens on the outside of the train as well as the front conductor car) and not the actual track number. Speaking of getting on the wrong train, here is a list of different trains that Austrian Rail offers for travellers heading near and far. For travellers going long distance, or even to neighbouring countries, the Railjet (RJ) would more than likely be a top choice. The Railjet trains are the most modern high-speed trains (travelling at over 240 kilometres per hour sometimes) within ÖBB’s fleet and offer comfortable seating, an on board restaurant, spacious washrooms, quiet zones and even a family car for families with small children. Travelling overnight? 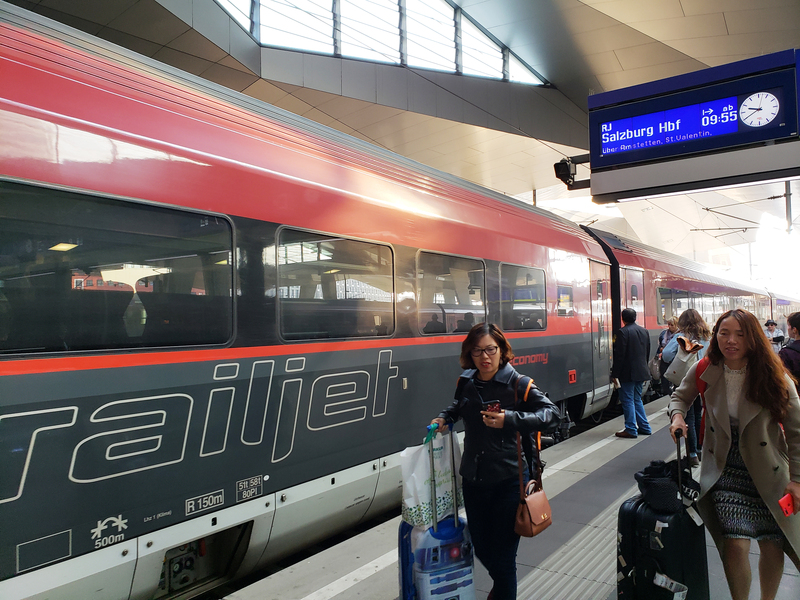 There is also the ÖBB Nightjet, which whisks you to your destination overnight comfortably with bunking and couchette cars, so you can arrive at your destination well rested and freshened up. You can even pre-book your car, or motorcycle for the journey and load it onto the train so that you have it for your new destination. The Nightjet travels a bit slower than regular trains, so you’ll get a cozy and quiet sleep. The Eurocity Trains (EC) and Intercity Trains (IC) are used in addition to the Railjet for long-distance routes and connecting travellers to neighbouring countries. Travelling at speeds reaching 200 kilometres per hour, you’re sure to make it to your next destination quickly and efficiently. The ÖBB Intercity-Express (ICE) is Austria’s second high-speed train in addition to the Railjet fleet. On long-distance routes, it can reach a top speed of 230 kilometres per hour. These trains make less stops and can go to neighbouring countries as well. As for Suburban trains, there are quite a few. 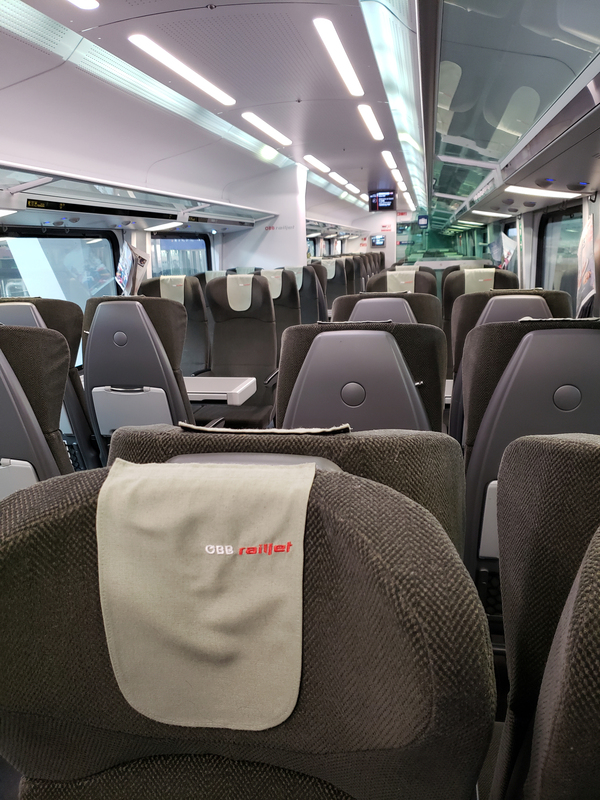 The ÖBB Cityjet, which reaches a top speed of 160 kilometres an hour, have adjustable seats, ergonomic headrests and armrests. Each seat is even equipped with a reading lamp, an electrical outlet and a fold-out laptop table. 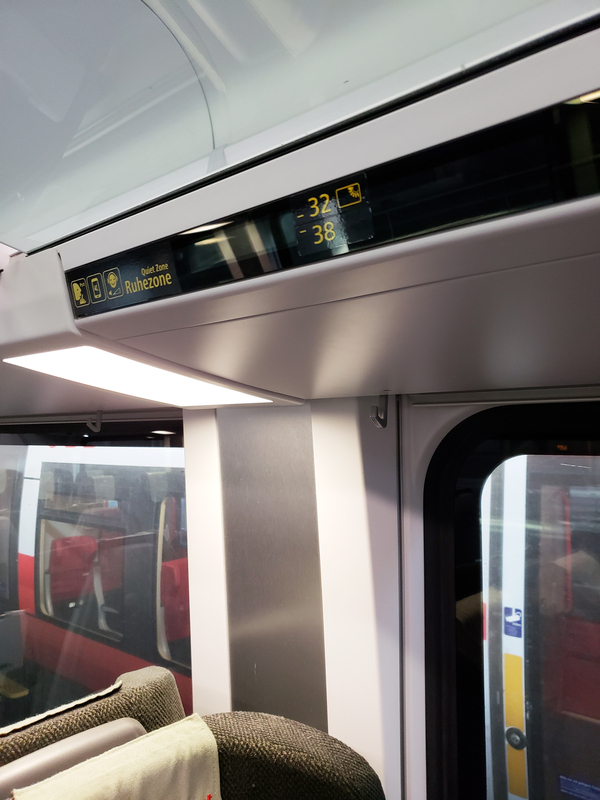 On the ÖBB Cityjet, passenger information is provided via 26 inch information screens. 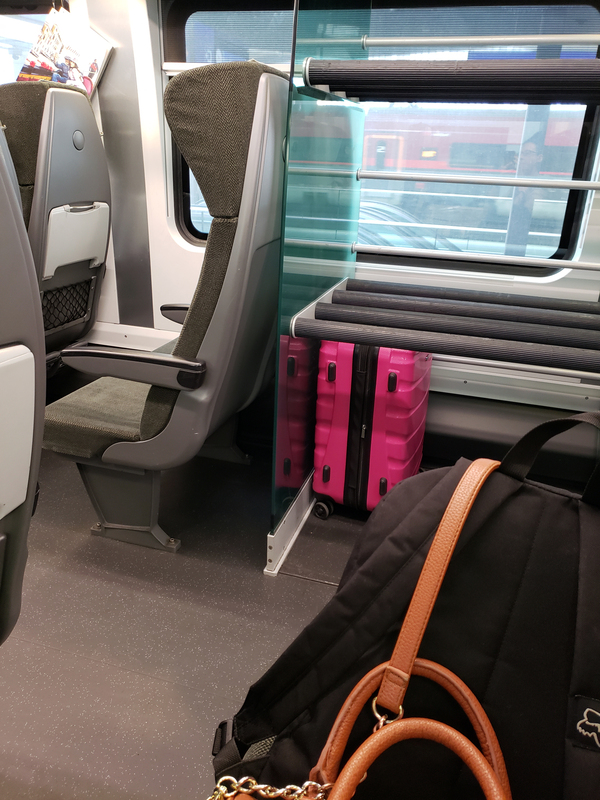 I’m actually quite jealous about all of the great amenities that Austria’s commuter trains have. There is also the ÖBB Talent (reaching 160 kilometres an hour), The Desiro (reaching 120 kilometres per hour) are in operation on regional railway routes in Lower Austria, Upper Austria, Carinthia and Styria, the ÖBB bi-level push-pull trains (reaching speeds of 140 kilometres an hour) are mainly in operation in the eastern region around Vienna, as well as in Vorarlberg and Carinthia. There is also the option of taking a cheaper express train between Vienna and Salzburg called the Westbahn. The Westbahn trains are a privately owned rail systems operating express train services on Austria’s Western Railway. 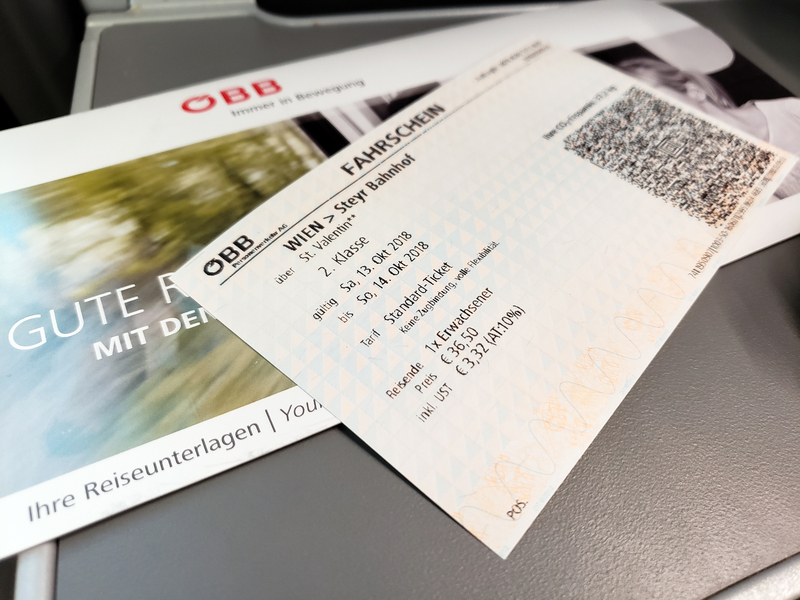 Although slightly cheaper than ÖBB, trains don’t run as regularly on Westbahn routes, so depending on where you are going, you’ll need to check the site for schedules. Austrians are very well behaved train travellers, which I absolutely love. If they are in the quiet zone, they are quiet. If they have children, they go to the family car. 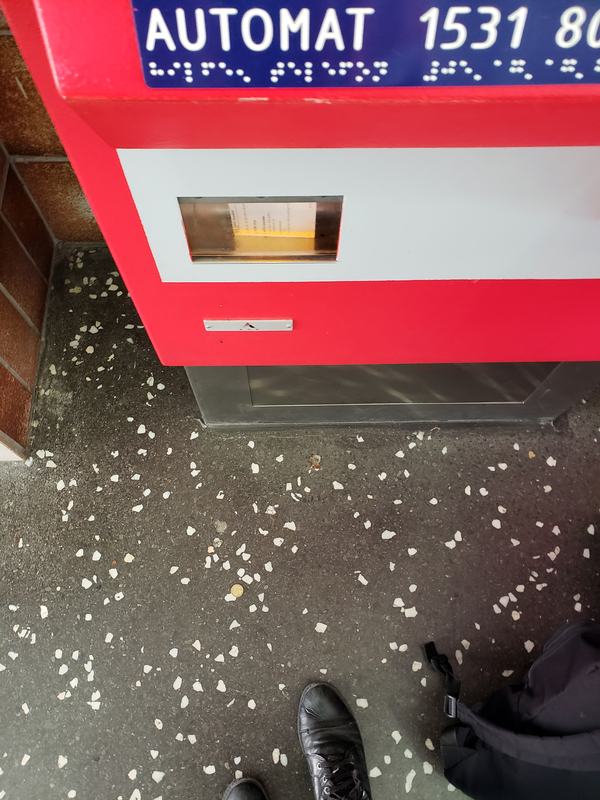 Trash is always put in the bins, the bathrooms are always clean and if the train is busy and packed, which it usually isn’t, but mine was on the way to Innsbruck, people get up to let the elderly and woman sit. Austrian’s train etiquette is some of the best I’ve seen while travelling by train and I’ve been on a LOT of trains. Be like the Austrians while on their trains; polite, courteous, quiet, clean and considerate. ÖBB takes etiquette quite seriously and if you are caught with your dirty feet up on the seats, you may even be fined for doing so. There are pop out foot rests under most seats in front of you, so use those instead.